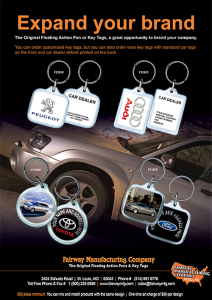 New and used cars are sold all over the world. 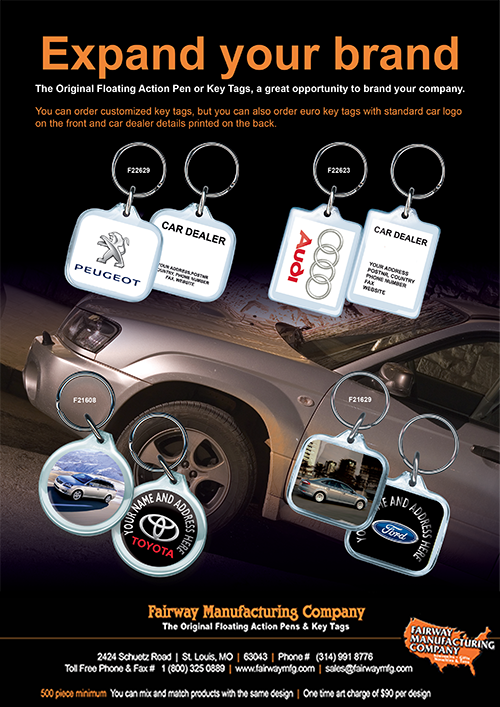 Car dealers deliver the keys with a customized key tag from Fairway with the name, address and other contact details, so the customer has it handy when it gets time for service and repairs. Why not include a promotional Floating Action Pen as well?